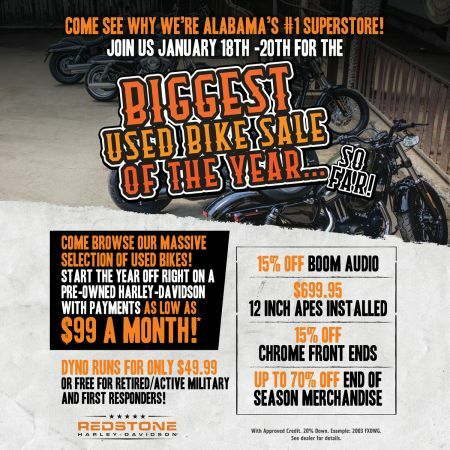 Join us January 18th -20th for the Biggest Used Bike Sale of the Year!...so far. Browse our massive selection of used bikes, some with payments as low as $99 a month! 15% off Chrome Front Ends, 15% off Boom audio, 70% off select end of season items, and more!